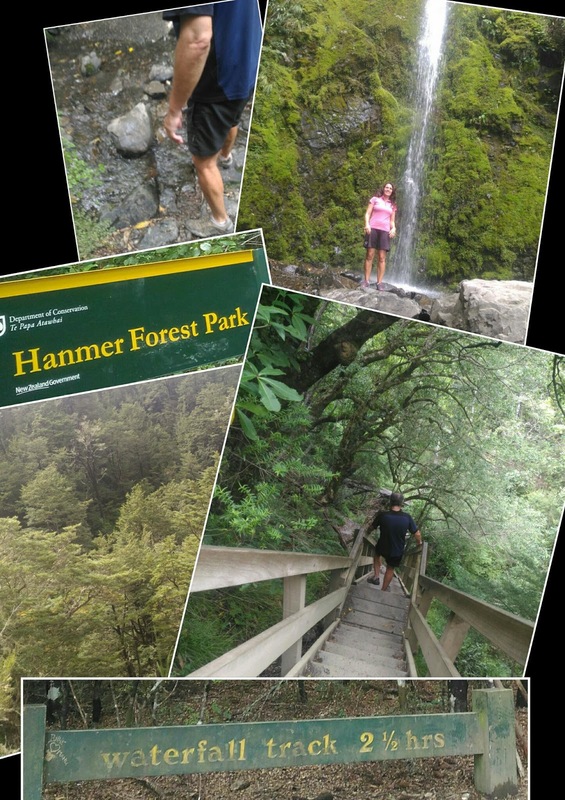 Hanmer Forest Park, waterfall walk. A good couple of hours walk, a few tricky parts to negotiate and a bit step at the top but well worth it, especially when you get to plunge your head under for a refreshing cool down at the top. Love that NZ green colour.